Modifiations are fairly extensive. Older parts that are failing of dubious sonic quality are replaced to give the Ampex 350 channel electronics a new lease on life. Some part values are changed. Front panel controls are reassigned and new functions added, like mic pad. 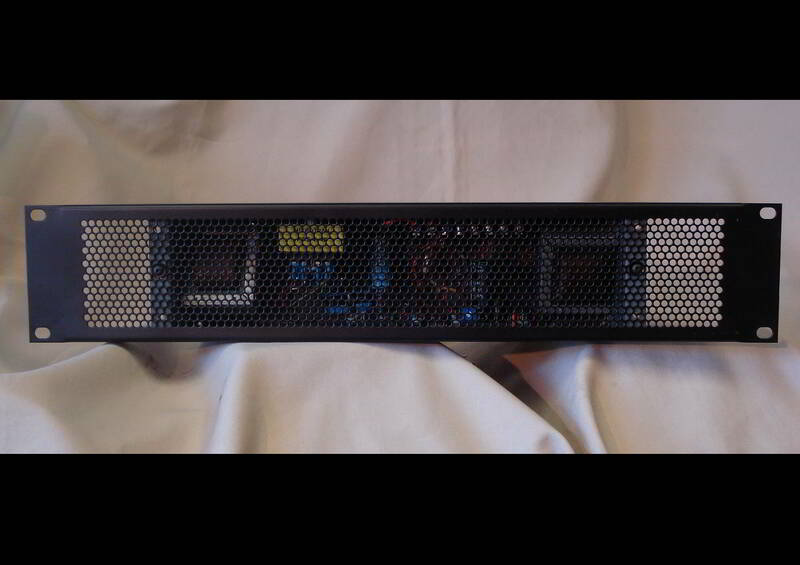 When original power supply is available the mods to power supply are contained within the power supply. 12 volts unregulated dc is changed to regulated dc. 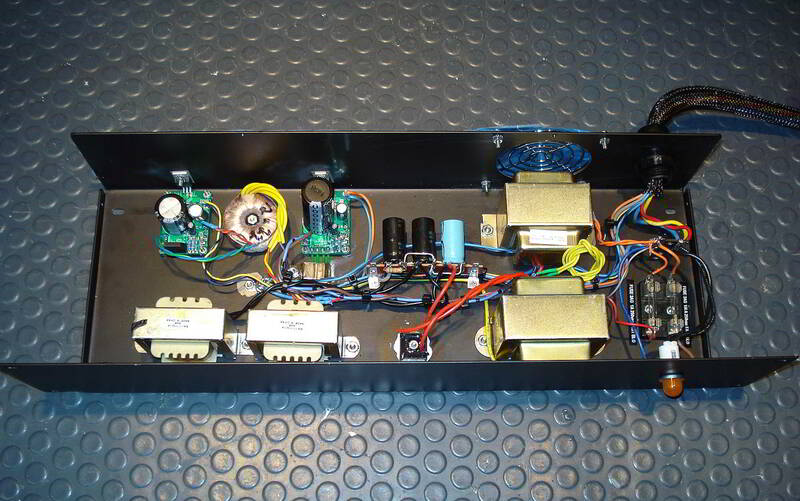 A 48 volt phantom power supply is added. Power connector pins are reassigned. 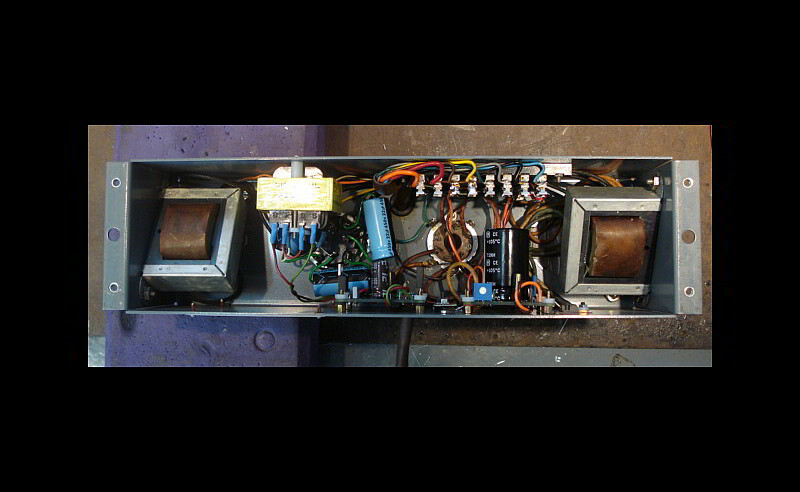 When original power supply is missing a replacement power supply is built with correct voltages for modded 350 channel electronics. This mod turns a somewhat unusable Ampex 350 electronics channel into one of the most impressive mic pres ever! Capitalizing on a fantastic design by the brilliant Ampex engineers this mod eliminates drawbacks to practical use in the recording of music while preserving and even teasing out a bit more of the inherent impressive sound. The result is totally usable hot neon like sound that is unmatched by other mic pres, a close second perhaps being the Neumann V76. This modified mic pre has all-around utility: it is thunderously punchy, has a warm, even hot midrange, and the highs are silky and shimmery. This is not at all a “straight-wire-with-gain”. It does improve the sound it amplifies. It calls attention to the instrument or vocal being recorded. In some ways it is brash, but in no way harsh. It just plain impresses. It wins. For that reason it is nicknamed “The David Beckham of Mic Pres”. This Mod came about at the request of some customers who noted the fantastic sonic characteristics of the Ampex 350 tape recorder tubed channel electronic’s mic pre, but found some significant drawbacks that prevented them from practical use of the unit in music production. Too much gain and noise. The mic pre of stock units has about 90 db of gain from input to output, which is about 30db more than is needed. The excessive gain results in having to ride the input level control near the bottom of it’s travel where resolution is poor. The excessive gain also results in excessive noise, both hiss and hum. 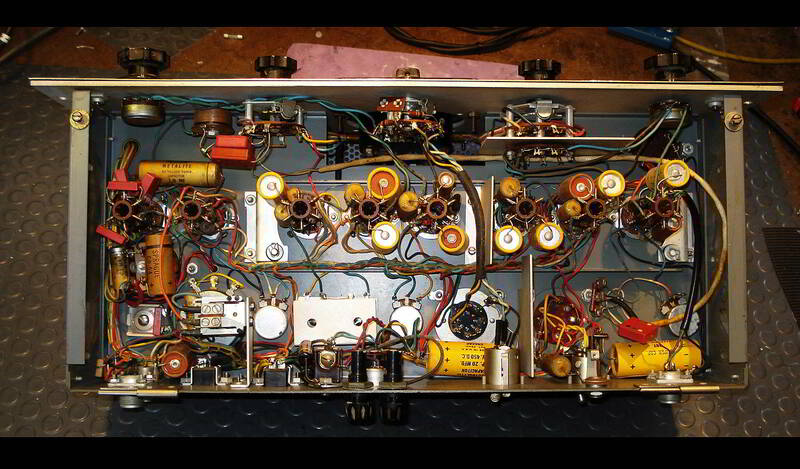 A lack of low end if not terminated by 600 ohms. Some circuit components are changed to lower the amplification factor of both the input and output stages, greatly lowering hiss. This has been carefully worked out so as to preserve the hot, neon-like sound of the original circuits. The power supply is modified to replace the ac filament voltage with dc filament voltage thus reducing hum by about 80%. The input transfer switch is modified from line – mic – unbal to mic – mic w/ pad – hi-impedence input. The pad is tailored to the input impedance of the mic transformer so as not to sound dull. Phantom power is added to the power supply. The record switch is replaced with a lighted push-button switch for engaging phantom power. 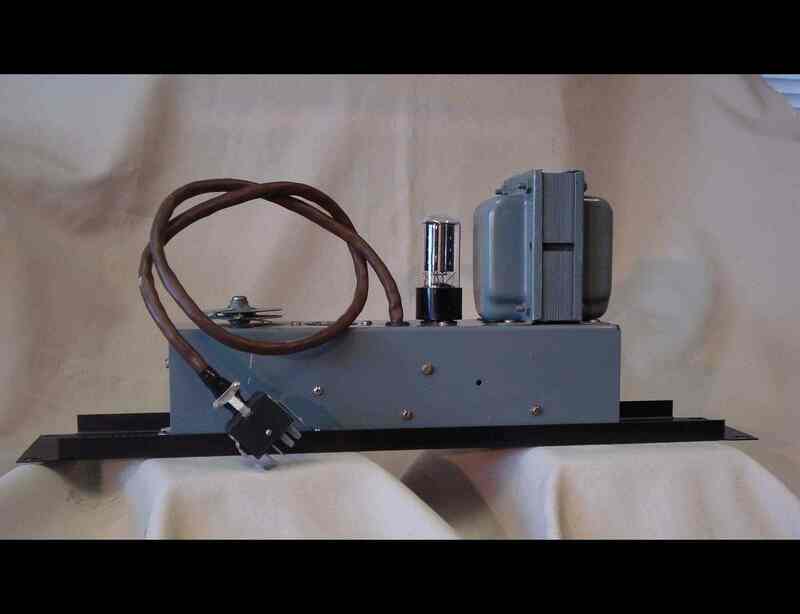 The playback level pot is replaced with a rotary switch for engaging/disengaging an internal 600 ohm load as needed. 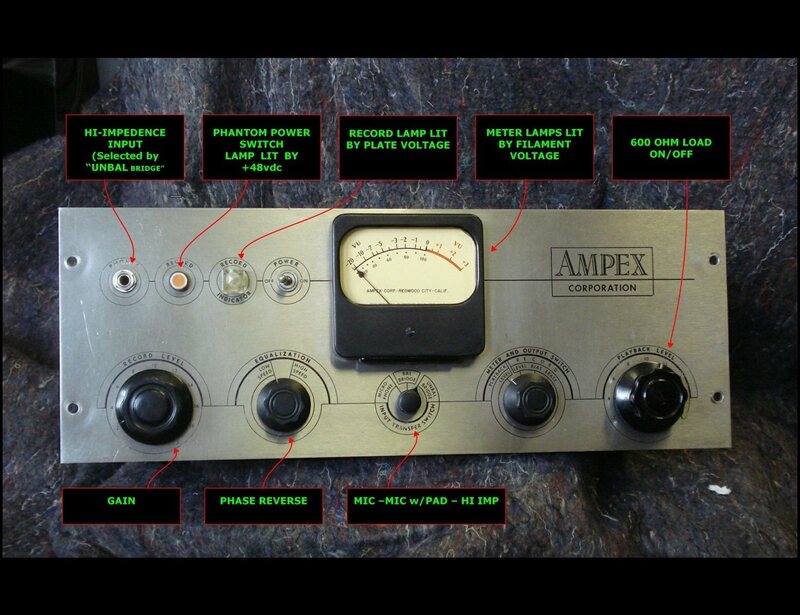 (Engaged when the output of the Ampex 350 is not connected to equipment with a 600 ohm input impedance. 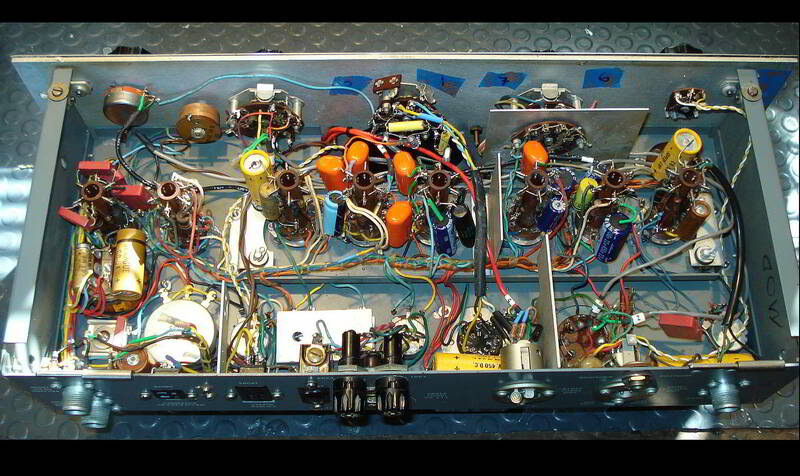 Along with all the modification work the Ampex 350 channel electronics are recapped. Intensive cleaning is done to switches, pots, tube pins and sockets and connectors. Price is for modification labor and parts. Does not include unit to be modified.